^ Important dates: $75 nonrefundable deposit due by Wednesday, May 1. XC Getaway “base camp” will soon be selected. Join the Potomac Highlands Distance Club and runners ages 13 and up for a week-long running retreat in the Maryland Mountains for six nights and seven days. From July 14 to July 20, you can isolate yourself from the outside world and begin to focus on the fall cross country or marathon season. 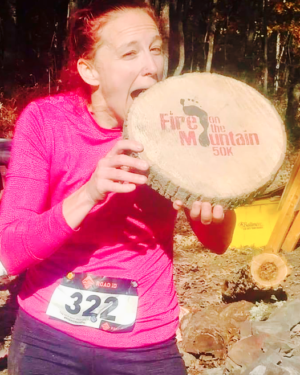 Learn more about proper nutrition and the importance of stretching (and the results of not stretching), as well as cross-training opportunities, strengthening core muscles, hill running and more. During a runner’s down time, choose from a large number of outdoor recreational activities, including mountain biking, birding, hiking, kayaking, canoeing, whitewater rafting and more! So pitch a tent or stay in a cabin – your choice* – and join us for an affordable, cost-effective experience you’re unlikely to forget. * Read a little about the club’s 2010 XC Getaway at New Germany State Park. Questions? Email run@phdispatch.com or call 304-209-8981. Session I is $145 and runs from July 14 through 17. Session II is $165 and runs from July 17 through July 20. Sign up for both for $295 (shared tents). Inquire about fees if you desire to stay in a cabin. Sign up early and enjoy the week in the woods for about $42/day. Other summer training opportunities offer far less time for much more of your hard-earned money. * Ask about commuter registration fees.